Atin-atin lang 'to ha, solid Monet pa rin ako! And who is Monet? 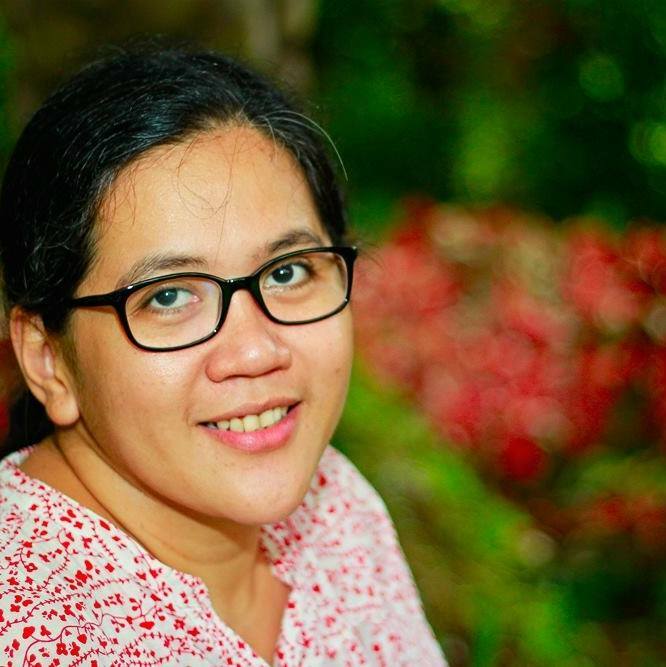 She is our community's ever reliable manikurista! I am afraid to go to any nail salon unless I can't contact Monet to do my regular pedicure. But everything changed when I tried Nailaholics Nail Salon and Spa's services with my friends a few years ago. I was impressed with their courteous and well-trained staff that whenever I can't contact Monet and had extra budget for some pampering time, I go to the nearest Nailaholics branch. 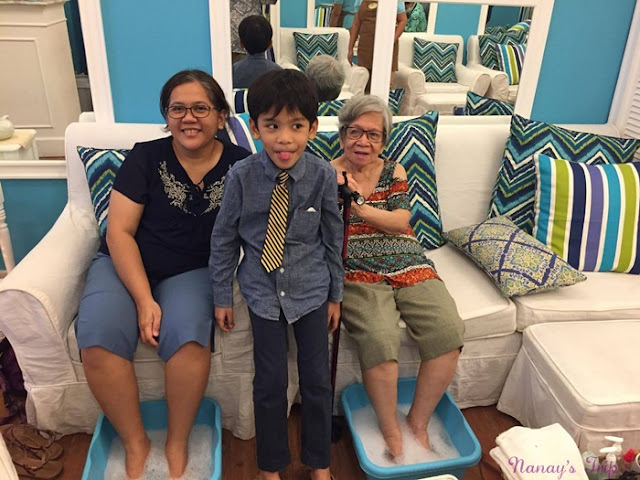 Even my 78-year old mom was impressed by the good service of the Nailaholics staff at their branch in Ayala Malls South Park when we had our pampering time last month. "Ang gaan ng kamay nang gumawa sa akin, 'Ja!" Going to a nail salon is more expensive but to be honest, I feel more relaxed, safe and comfortable whenever I go to Nailaholics. That’s why I was so glad when I found out that it has a branch in Ayala Malls South Park. I can now spend my much needed, once in a blue moon, pampering time in that cool and cozy place. The good news is WE can all have our precious pampering time on October 17 as Nailaholics Nail Salon and Spa marks its 2nd National Pampering Day! WE can get a FREE manicure, foot massage or spa in any Nailaholics branch from 10:00 a.m. to 1:00 p.m.! “This year, as Nailaholics celebrates the 2nd National Pampering Day, we go deeper and dedicate this to everyone and remind them to take it slow and easy, zone out and relax for a while.” said Arvin Amaro, Marketing Head of Nailaholics Nail Salon and Spa. This celebration also becomes even more meaningful because our favorite nail salon has pledged to support cause-oriented organizations such as World Vision, The Philippine Animal Welfare Society (PAWS), and Save Philippine Seas”. Mark your calendars and search for the nearest Nailaholics Nail Salon and Spa branch nearest you and let’s celebrate the 2nd National Pampering Day on October 17!